A Mens Carnival Jester Costume including a Top, Trousers, Hat, and Shoe Covers – Ideal for funny theme, Carnival theme, or any fancy dress occasion! Play the fool with this fantastic Mens Carnival Jester Costume. This Mens Carnival Jester Costume comes complete including a Top, Trousers, Hat, and Shoe Covers. 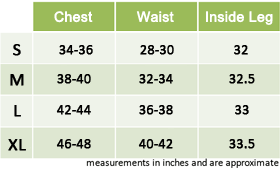 The long sleeve Top features a vibrant Green, Purple, and Yellow design, with white piping details down the front of the Top. The Trousers feature a contrasting pattern, with one green leg, and one yellow leg for this crazy look. 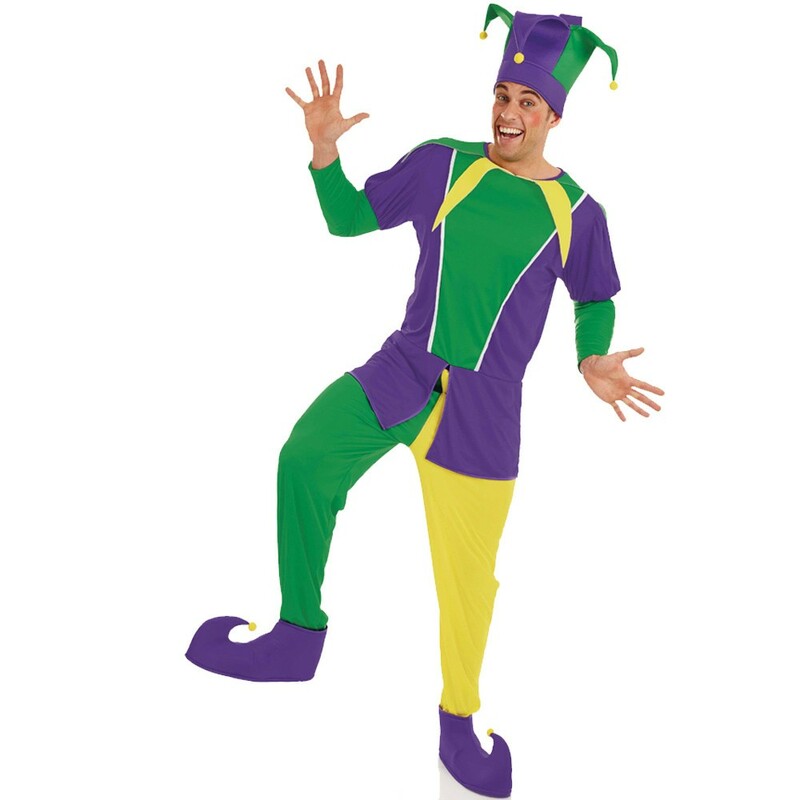 Complete this Mens Carnival Jester Costume with the purple and green Jester Hat, and the Purple shoe covers with curled toe and yellow Pom Pom detail. Perfect for a carnival theme, Funny theme, or any fancy dress occasion, this Mens Carnival Jester Costume will have you clowning around in no time! A Mens Carnival Jester Costume including a Top, Trousers, Hat, and Shoe Covers.